Karen Andrea is a writer specialising in the children and Young Adult market and living in London, UK. 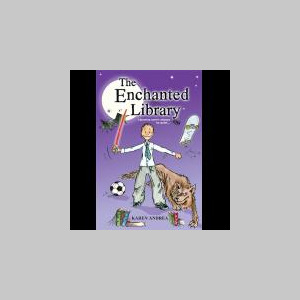 The Enchanted Library is her debut novel for 8 to 12's (and adults too!) It's an uplifting story about the adventures of Max Milford, when he is fostered by his grandpa and discovers a library of living books in a long-deserted room. It aims to promote literacy and self-belief. When not reading or writing, Andrea is getting hyper on good coffee, people-watching in cafes, running children's workshops, practising yoga, cycling or hanging out with friends.